Have a project and don’t have the resources to manage it? 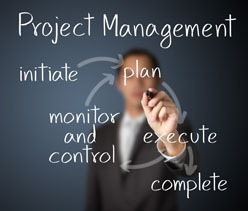 We can provide project management resources to cover projects from $5,000.00 to $5,000,000.00. 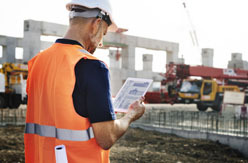 We can be the project resource you need at any level. Whether you are implementing software or setting up multiple locations, we can manage resources including vendors, employees, and contractors. You can hold us accountable and we deliver your project on time and on budget. Looking to improve your processes, become more efficient, or have to find the needle in the haystack? We have experience in workflow and process management and can help you ensure that you are doing what you say you are doing. If what you say you are doing is not documented, we can get processes and workflow down on paper an ensure that those are efficient and work with the technology you have in place. We believe a bad process without technology is a bad process with it. Building or remodeling, we can plan, engineer, and manage your construction project from the blueprints stage all the way to completion. We can work with the architect and contractor and ensure you get your project finished on time. From cabling and server/network room layout to ensuring the HVAC and electrical requirements are met, we can also address surveillance and access control. We will ensure that you have the right path available for your current and future needs including managing the installation of voice and data connectivity to the outside world. Don’t get caught saying, “I wish I would have accounted for …”. 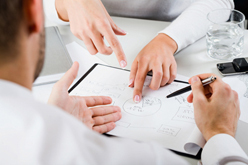 We can evaluate your work flow and processes. 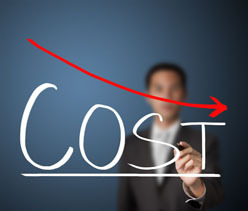 We work with companies of all sizes to reduce their expenses whether it be IT, communications, security, and more. We understand the impact our economy can have on a business and will work hard in helping you and your business adapt. Contact us today. With the experience of implementing over 50 different ERP solutions, we can assist in selecting and implementing various ERP applications to meet your business needs including Oracle, PeopleSoft, Dynamics, Epicor, Accutech, Sage, and QuickBooks to name a few. In addition, we can assist with integrations between software solutions or extending the capability of an existing software. Have a solution and need assistance taking it to the next level? 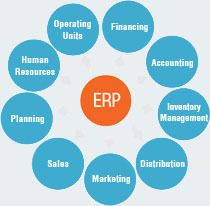 We can help you get the most out of your ERP solution.